A huge fundraising effort has brought vital medical equipment to a Lincolnshire village. Thanks to private donations, the proceeds of a village festival, parish council cash and a donation from South Kesteven Councillor Rosemary Trollope-Bellew, a defibrillator is ready to be installed in Uffington, near Stamford. A defibrillator is a device that gives a targeted electric shock to the heart to help someone who is suffering a cardiac arrest. The £1,800 cost was paid for in part with £200 from Cllr Trollope-Bellew's Ward Member Grant, and a donation from the village's annual Scarecrow Festival. She said: "I'm delighted to have the opportunity to give some money to an important project like this. While we all hope we won't need to use it, the fact that it is there might mean the difference between a good recovery or a tragic outcome to a medical emergency." Uffington Parish Councillor David Babbs, who led the project, said: "There will always be occasions where a defibrillator might be called into action. The parish council is mindful of this and it's been pushed to the top of the agenda. "We know that swift action can be important in helping people survive and recover in an emergency." 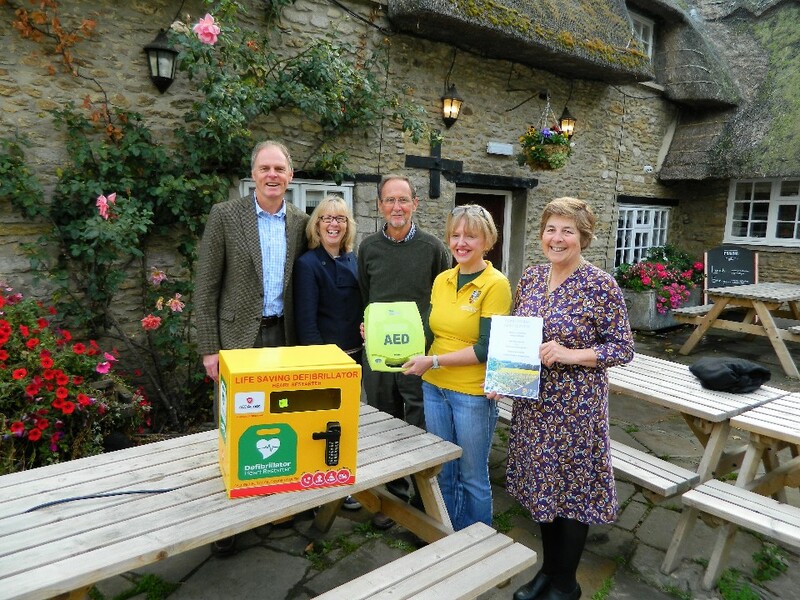 The life-saving equipment will be kept in a high-visibility weather-proof box on a wall outside The Bertie Arms on Bertie Lane, Uffington, and users will call 999 to get the code number to open it and for advice on its use. Picture caption: Uffington Parish Councillor David Babbs with chairman Barrie Brown, parish clerk Lorraine Thurston, landlady at The Bertie, Katie Genever, with SKDC Councillor Rosemary Trollope-Bellew. For general media enquiries: Email the SKDC communications team at pr@southkesteven.gov.uk or call 01476 406498 or 406440.